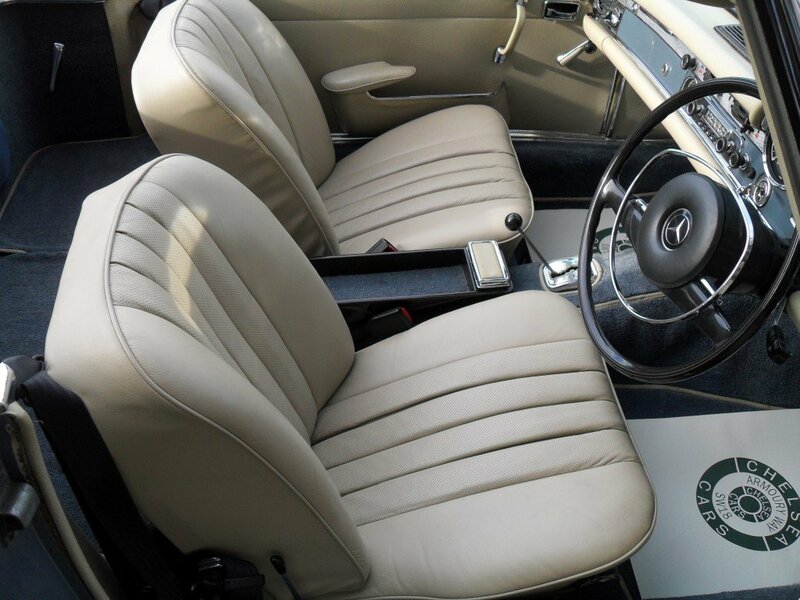 Presented in the most desirable colour combination of light metallic blue coachwork with magnolia leather interior . 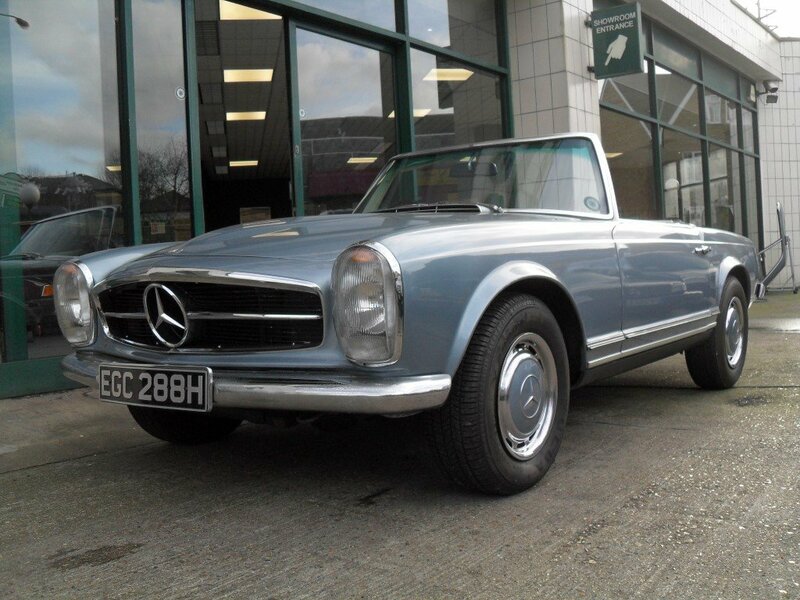 Showing just 45,000 miles this lovely example comes with an extensive service history file including the (very rare) original service book stamped and MOT s and invoices to suggest that this very low mileage may well be correct. 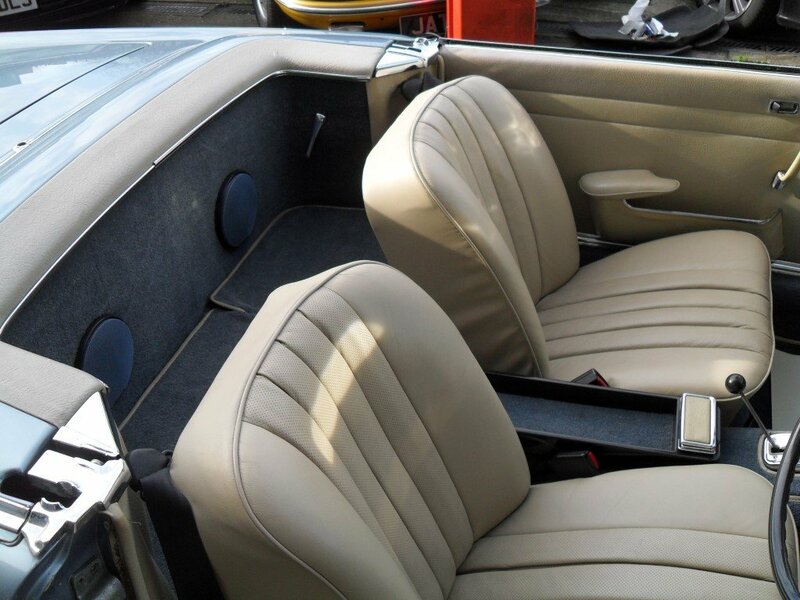 The car was restored by renowned marque specialist Nigel Cooper with invoices to show works and as a result is a high end example .It comes complete with its original hard top and new dark blue mohair soft top.It will come with new chrome front and rear bumpers , 12 months warranty ,a new MOT and be serviced by marque specialist Steve Redfearn. 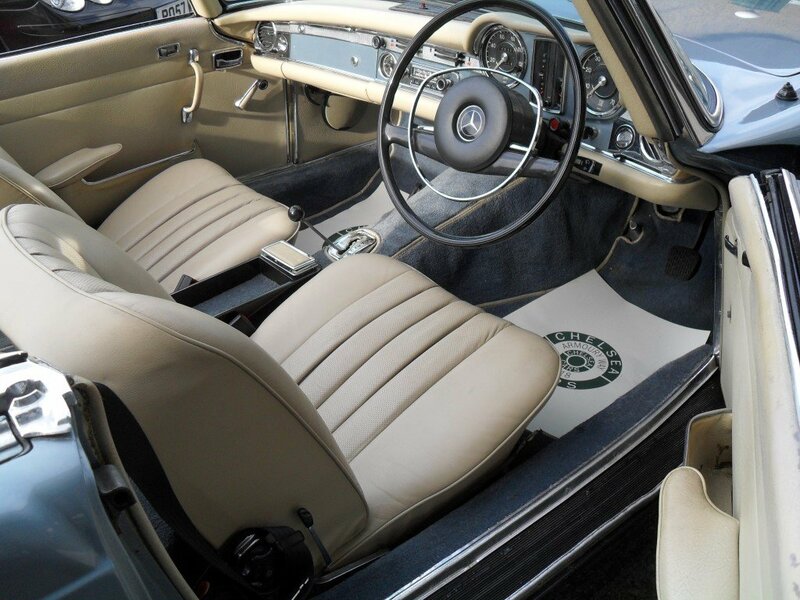 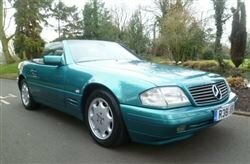 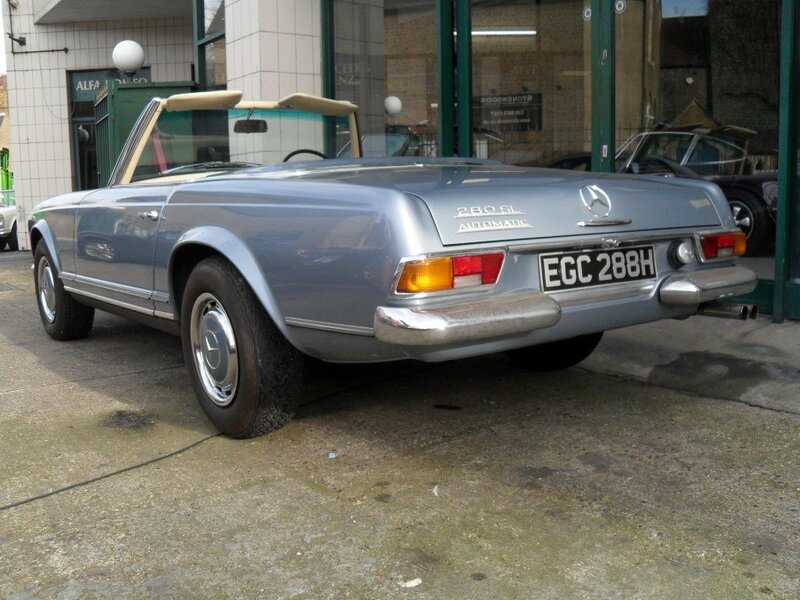 A rare opportunity to purchase what must be as a complete package the most sought after condition ,colour combination and package of a Mercedes Pagoda 280 SL.